More than just a swimming pool! 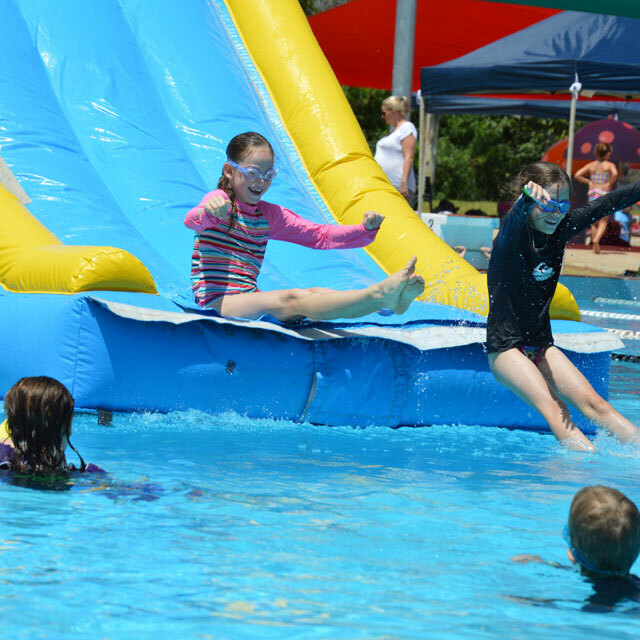 Kirwan Aquatic Centre's facilities include two heated swimming pools, a shaded water park and water slides. 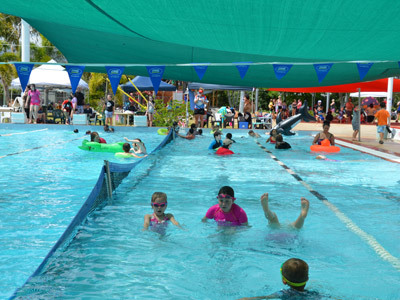 It is also the home of Love2Swim School Kirwan and Townsville Brothers Swimming Club. The Centre hosts parties and corporate functions; and it is the official training and recovery pool for the North QLD Cowboys. 25m Outdoor Heated Pool & 16m Enclosed Heated Pool. 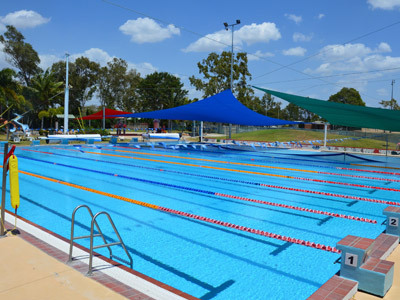 Kirwan Aquatic Centre's 25 metre heated pool is perfect for lap swimmers, water play and swim school customers, including our large school groups and childcares. 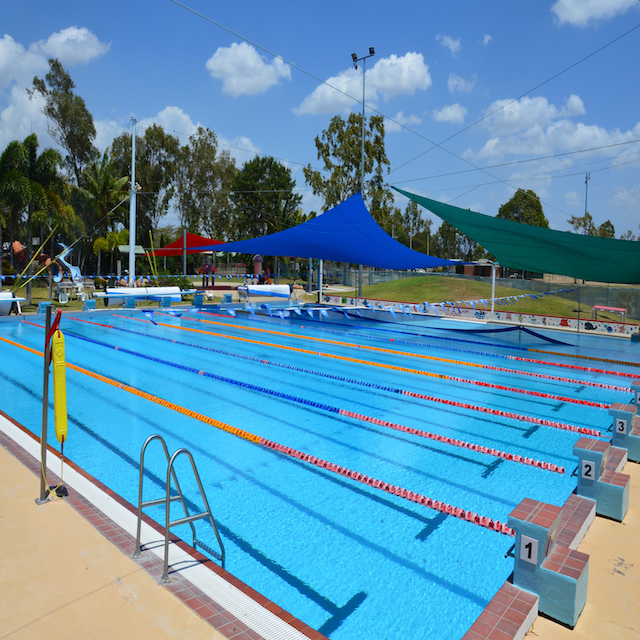 Kirwan Aquatic Centre's enclosed heated pool has been specifically designed for our learn to swim program. 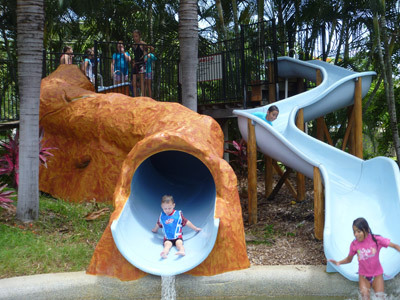 The Water Park and Water Slides at Kirwan Aquatic Centre provide everything you need for an enjoyable family outing! 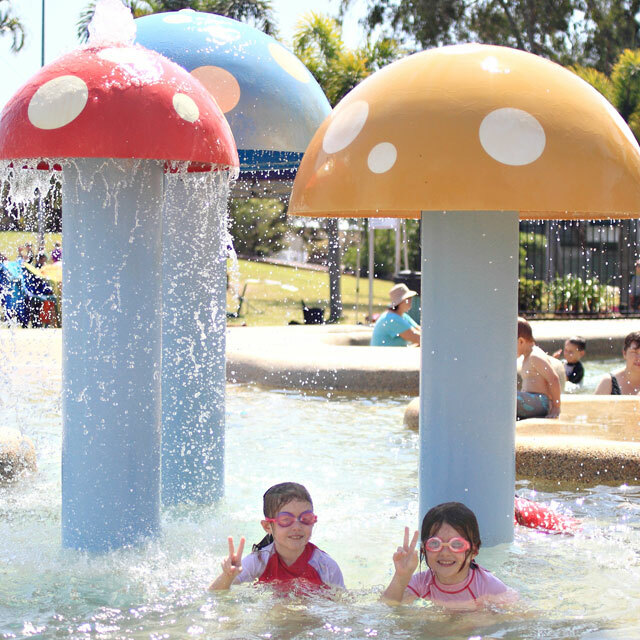 Catering for big kids, little kids and babies, the Water Park is heated and shaded, with varying depths of water to allow toddlers to wander around with parents under the "mushrooms" and "caterpillar". 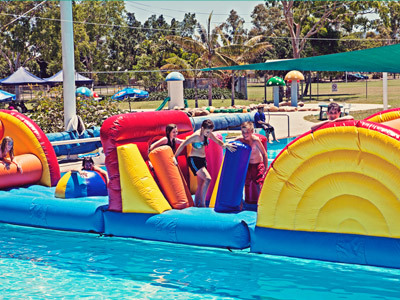 Kirwan Aquatic Centre is the perfect location for your next birthday party, Christmas party or other corporate function! Not only does Kirwan Aquatic Centre have two heated swimming pools, there's also a shaded Water Park and two water slides! Need to update your Bronze Medallion/Pool Life Guard/Oxygen/First Aid or CPR? You can do it all at Kirwan Aquatic Centre! Learn to swim at Love2Swim School! The Love2Swim School Program has been created by owner Kristie Love-Pelletier, following more than 20 years in the swim teaching industry. Stay Informed! Subscribe to our newsletters.